Surround yourself in luxury at Nugget Point Boutique Hotel and Spa, which offers free WiFi and free parking. A squash court as well as a cinema with DVDs and free popcorn are featured at the hotel for guests to enjoy. Nugget Point Hotel and Spa is an intimate boutique hotel, just 15 minutes’ drive from the Coronet Peak Ski Field. Queenstown city center is only 5 minutes' drive away. The Remarkables ski area is a 45-minute drive. All rooms are luxurious open-plan suites with private balconies. Guests can enjoy views of the Shotover River or alpine and garden views. 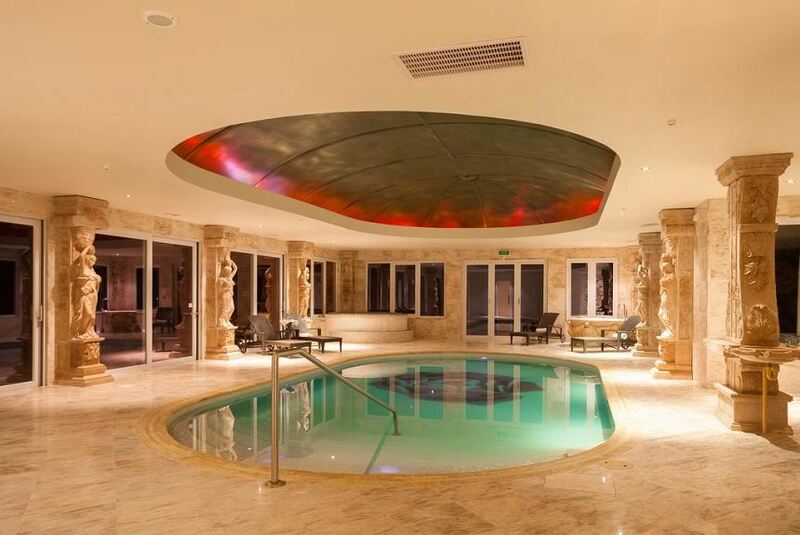 The Spa consists of a mosaic-tiled indoor heated pool, marble plunge pools, hot tub, steam room, sauna, and beautiful mosaic showers, along with relaxation areas. Indulge yourself with a beauty or massage treatment. The onsite restaurant, The Bodhi Tree, offers Burmese food in a casual dining atmosphere, available Wednesday to Sunday.